On this page we are collecting the latest news from the library community around the world about the devastating earthquake in Haïti. Updates will be made as soon as available. For a first impression, watch the video below taken by security cameras during the earthquake. 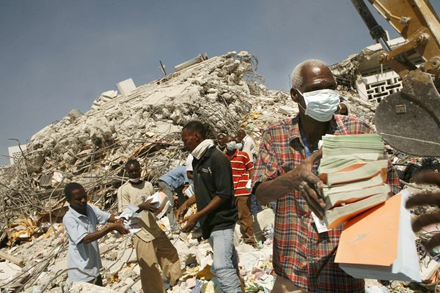 The National Library of Haiti's security cameras document the moment , on January 12th, when Haiti's earthquake impacts the library in Port-au-Prince.